The 2019 Toyota Camry is the premium sedan eight-generation iteration and is based on Toyota’s new global architecture (TNGA). 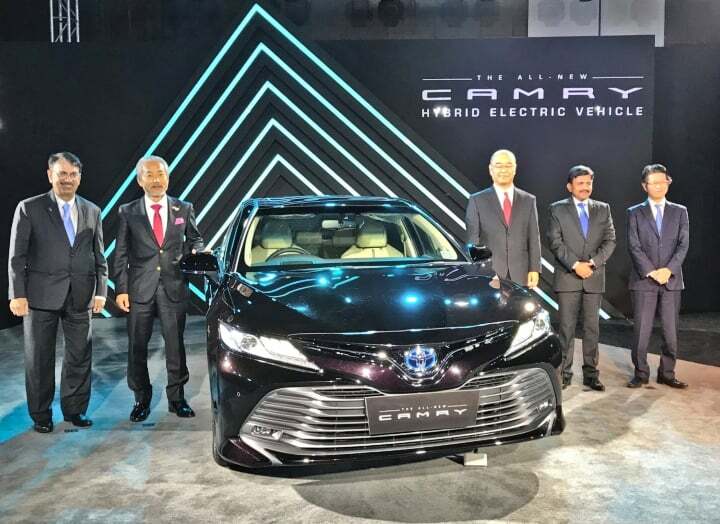 Toyota Kirlosker Motors has today launched the 2019 Camry, the premium sedan;s eight-generation iteration in India. The new Cmary is going to retail at an ex-showroom price of INR 36.95 lakh. Based on Toyota’s new global architecture of TGNA for short, the Japanese automaker is calling this vehicle as a Hybrid Electric. Said to be ‘self-charging’ vehicle, it is powered by a newly developed Dynamic Force Engine and paired to Toyota’s fourth generation hybrid system. The 2019 Toyota Cmary comes with 9 airbags and has been awarded 5-stars in the recently conducted crash tests by ASEAN NCAP. It is powered by a 2.5-litre, 4-cylinder petrol engine which is capable of producing 178 BHP of power along with 221 Nm of peak torque. This engine is paired to an electric motor which is capable of producing and equivalent of 119 BHP along with 201 Nm of peak torque. This engine is paired to a CVT automatic transmission and comes with paddle shifters.